CIA Landlord Insurance Honda have announced that Peter Sebestyen will remain with the team for another year after having joined the British based squad for the final five rounds of the 2018 FIM Supersport World Championship season. Coming from different years spent in national championships, the Hungarian moved over to the European Junior Cup in 2013, and he was able to show off his talent taking a podium and finishing 6th in the standings at the end of his first season. 2014 saw Sebestyen moving over to WorldSBK, but after a difficult season he stepped back to STK1000 before returning to WorldSBK in 2016, year that welcomed his first point in the series. For 2017 and 2018 Sebestyen made the switch to the European Supersport Cup but in the second half of the 2018 season he joined forces with the CIA Landlord Insurance Honda team for the remaining five rounds of the campaign. Impressing with his progression that included a top ten finish around Losail in the final race of the year, the team decided to re-sign with the Hungarian rider, as both aims to continue to make progress together in the upcoming season. CIA Landlord Insurance Honda Team Manager Simon Buckmaster said: “We are pleased to be able to retain Peter Sebestyen in our team for 2019. Peter progressed steadily last year after coming in mid-way through what is a very competitive championship. We have been working hard to secure the deal with his management team and are now pleased to confirm he will be completing a full season with us in 2019”. 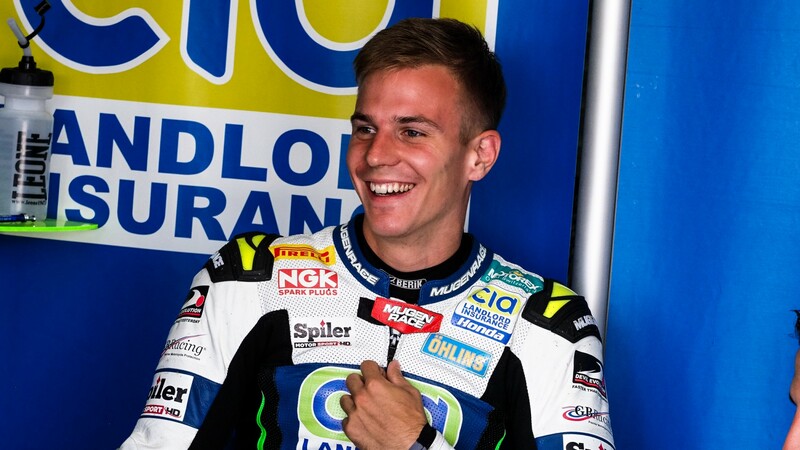 Sebestyen will line up for the British team alongside Frenchman Jules Danilo, who will debut in WorldSSP with CIA Landlord Insurance Honda this Year: “I believe Peter and Jules Danilo will work well together to improve for themselves and for the team. We look to be challenging towards the front, that has to be our aim.” added Buckmaster. A delighted Peter Sebestyen commented on his renewal with the team: “I am very happy to return with PTR Honda and continue the work together that we started last year. I really enjoyed working together and I like the structure of the team. I think we have common goals for the future. Now that we have a chance to complete a full WorldSSP season together we will build up a stable season and will achieve good results together. Last year the team and Simon highlighted the areas where I can improve myself and get better performance. I have been working very hard on it during the winter break. I cannot wait until Australia to ride the bike again!". Follow Peter Sebestyen and CIA Landlord Insurance Honda heading into the 2019 FIM Supersport World Championship season together, all with the WorldSBK VideoPass.